Generally by the word “Bank” we can easily understand that the financial institution deals with money. But there are different types of banks like; Central Banks, Commercial Banks, Savings Banks, Investment Banks, Industrial Banks, Co-operative Banks etc. But when we use the term “Bank” without any prefix, or qualification, it refers to the ‘Commercial banks’. Commercial banks are the primary contributors to the economy of a country. So we can say Commercial bank is a profit-making institution that holds the deposits of individuals & business in checking & savings accounts and then uses these funds to make loans. For these people and the government is very much dependent on these banks as the financial intermediary. As banks are profit -earning concern; they collect deposit at the lowest possible cost and provide loans and advances at higher cost. The differences between two are the profit for the bank. Banking sector is expanding its hand in different financial events every day. At the same time the banking process is becoming faster, easier and the banking arena is becoming wider. As the demand for better service increases day by day, they are coming with different innovative ideas & products. In order to survive in the competitive field of the banking sector, all banking organizations are looking for better service opportunities to provide their fellow clients. As a result, it has become essential for every person to have some idea on the bank and banking procedure. DBBL, NCC, NBL & South East, Prime Bank, AB Banks are the leading banks in Bangladesh. The scope of the study is limited to the Branch level only. The report focuses upon the organizational structure and the financial services offered by the performance of the bank. Performance Evaluation by different Ratio. To get the knowledge about the major laws applicable to the banking business. To know about the rules and regulations of the bank. To meet the objectives of the study, I realized that a single method would not be effective. Formal & oral discussion, direct observation, questioning clients & printed papers of the Banks were found useful. To collect the necessary and meaningful information, the following methods were applied. Secondary sources were used here. Exploratory research has been conducted for gathering better information that will give a better understanding on various consumer credit schemes. Secondary sources of data collection procedure have been used in the report. The Jews in Jerusalem introduced a kind of banking in the form of money lending before the birth of Christ. The word ‘bank’ was probably derived from the word ‘bench’ as during ancient time Jews used to do money -lending business sitting on long benches. First modern banking was introduced in 1668 in Stockholm as ‘Svingss Pis Bank’ which opened up a new era of banking activities throughout the European Mainland. In the South Asian region, early banking system was introduced by the Afgan traders popularly known as Kabuliwallas. Muslim businessmen from Kabul, Afganistan came to India and started money lending business in exchange of interest sometime in 1312 A.D. They were known as ‘Kabuliawallas”. The number of banks in all now stands at 49 in Bangladesh. Out of the 49 banks, four are Nationalised Commercial Banks (NCBs), 28 local private commercial banks, 12 foreign banks and the rest five are Development Financial Institutions (DFIs). Sonali Bank is the largest among the NCBs while Pubali is leading in the private ones. Among the 12 foreign banks, Standard Chartered has become the largest in the country. Besides the scheduled banks, Samabai (Cooperative) Bank, Ansar-VDP Bank, Karmasansthan (Employment) Bank and Grameen bank are functioning in the financial sector. The number of total branches of all scheduled banks is 6,038 as of June 2000. Of the branches, 39.95 per cent (2,412) are located in the urban areas and 60.05 per cent (3,626) in the rural areas. Of the branches NCBs hold 3,616, private commercial banks 1,214, foreign banks 31 and specialized banks 1,177. Bangladesh Bank (BB) regulates and supervises the activities of all banks. The BB is now carrying out a reform program to ensure quality services by the banks. A commercial bank (or business bank) is a type of financial institution and intermediary. It is a bank that provides transactional, savings, and money market accounts and that accepts time deposits. Generally this sort of account opens for business purpose. Customers can withdraw money once or more against their deposit. No interest can be paid to the customers in this account. If the amount of deposit is below taka 1,000 on an average the bank has authority to cut taka 50 from each account as incidental charge after every six months. Against this account loan facility can be ensured. Usually one can open this account with taka 500. One can open this sort of account through cash or check/bill. All the banks follow almost the same rules for opening current account. Usually customers open this sort of account at a low interest for only security. This is also an initiative to create people’s savings tendency. Generally, this account is to be opened at taka 100. Interest is to be paid in June and December after every six months. If money is withdrawn twice a week or more than taka 10,000 is withdrawn (if 25% more compared to total deposit) then interest is not paid. This account guarantees loan. Almost all the banks follow the same rules in the field of savings account, except foreign banks for varying deposit. On an average, all the banks give around six percent interest. Some Banks render special services to the customers attracting other banks. Customers need an Internet access service. As an Internet Banking customer, he will be given a specific user ID and a confident password. The customer can then view his account balances online. It is the industry-standard method used to protect communications over the Internet. To ensure that customers’ personal data cannot be accessed by anyone but them, all reporting information has been secured using Version and Secure Sockets Layer (SSL). Home banking frees customers of visiting branches and most transactions will be automated to enable them to check their account activities transfer fund and to open L/C sitting in their own desk with the help of a PC and a telephone. Electronic Banking Service for Windows (EBSW) provides a full range of reporting capabilities, and a comprehensive range of transaction initiation options.The customers will be able to process all payments as well as initiate L/Cs and amendments, through EBSW. They will be able to view the balances of all accounts, whether with Standard Chartered or with any other banks using SWIFT. Additionally, transactions may be approved by remote authorization even if the approver is out of station. Automated Teller Machine (ATM), a new concept in modern banking, has already been introduced to facilitate subscribers 24 hour cash access through a plastic card. The network of ATM installations will be adequately extended to enable customers to non-branch banking beyond banking. Tele Banking allows customers to get access into their respective banking information 24 hours a day. Subscribers can update themselves by making a phone call. They can transfer any amount of deposit to other accounts irrespective of location either from home or office. SWIFT is a bank owned non-profit co-operative based in Belgium servicing the financial community worldwide. It ensures secure messaging having a global reach of 6,495 Banks and Financial Institutions in 178 countries, 24 hours a day. SWIFT global network carries an average 4 million message daily and estimated average value of payment messages is USD 2 trillion. SWIFT is a highly secured messaging network enables Banks to send and receive Fund Transfer, L/C related and other free format messages to and from any banks active in the network. Having SWIFT facility, Bank will be able to serve its customers more profitable by providing L/C, Payment and other messages efficiently and with utmost security. Especially it will be of great help for our clients dealing with Imports, Exports and Remittances etc. The monetary and credit policy for the financial year that ended in June,2000 was formulated with the objective of full utilization of domestic resources and rapid economic growth through priorities for agriculture, industry, export, and expansion and strengthening of the private sector, at the same time keeping inflation within tolerable limits. A modern expansionary monetary and credit policy was adopted in order to make good the losses to agriculture, industry, and infrastructure by the devastating floods of 1998. After the flood the economy remained sluggish in the first quarter of 1999-2000 and the private sector demand for credit shrank. In view of this, the Annual Development Programme (ADP) was expanded and development activities in the private sector were geared up. As a result, the public sector absorbed credit at an accelerated rate. Though credit to the private sector picked up towards the end of the year, the overall annual growth was smaller than programmed, although gross domestic credit expanded a little faster than projected. Money supply increased by 15.3% in 1999-2000 compared to the expansion of 8.6% in the preceding year. Narrow Money increased by Tk. 2,631.90 crores or 15.3% to Tk.19,881.30 crores in 1999-2000. Of the components of Narrow Money, currency outside banks went up by Tk.1,489.40 crores or 17.2% to Tk.10,176.00 crores, and demand deposits went up by Tk.1,142.50 crores or 13.3% to Tk.9,705.30 crores. Broad Money increased by Tk.11,735.70 crores or 18.6% to Tk. 74,762.40 crores in 1999-2000 compared to the increase of 12.8% in the preceding year. Of the components of Broad Money, Narrow Money increased by 15.3% and time deposits rose by 19.9% compared to the increase of 8.6% in Narrow Money and 14.5% in time deposits in the preceding year. The shares of currency outside banks, demand deposits and time deposits in Broad Money stood at 13.6%, 13.0%, and 73.4% respectively on 30th June, 2000 compared to 13.8%, 13.6% and 72.6% respectively on 30th June, 1999.Expansion of credit to the private sector, government sector (net), public sector, and other assets (net), along with a surplus in net foreign assets contributed to the expansion of Broad Money. Reserve Money increased by Tk.2, 321.80 crores or 15.7% to Tk.17,064.50 crores in 1999-2000 compared to the increase of 8.3% during the preceding year. Of the components of Reserve Money, currency outside banks increased by Tk.1,489.40 crores or 17.1% compared to the increase of Tk.533.30 crores or 6.5% during the preceding year. Scheduled banks balances with the Bangladesh Bank increased by Tk.770.90 crores or 15.3% in 1999-2000 compared to the increase of Tk.488.20 crores or 10.8% in the preceding year. Their cash in tills increased by Tk.61.50 crores or 6.0% as against the increase of Tk.103.60 crores or 11.2% in the preceding year. The increase in Bangladesh Bank’s credit to the government (net) by Tk.1,738.10 crores and net surplus in the foreign sector by Tk.1,262.40 crores played the main role in exerting expansionary influence on the Reserve Money. However the decline of Tk.333.60 crores and Tk.44.90 crores in the borrowings by the scheduled banks and other financial institutions respectively along with the fall of Tk.300.20 crores in other assets (net) partly offset the expansionary impact of those sectors. Total domestic credit increased by Tk.8, 581.20 crores or 13.6% to Tk. 71,489.00 crores (including adjustment of bonds issued by the government) in 1999-2000 as compared to the increase of Tk.7,267.60 crores or 13.1% in the preceding year. Expansion of credit to the government, private, and public sectors to the extent of Tk.3,524.30 crores (31.3%), Tk.4,906.10 crores (10.7%), and Tk.150.80 crores (2.5%) respectively contributed to the expansion in total domestic credit in 1999-2000. Credit to the government and private sector had increased by 21.3% and 13.8% respectively, while credit to the public sector declined by 3.7% in the preceding year. The outstanding level of bank credit (excluding foreign bills and inter-bank items) increased by Tk.5, 123.30 crores or 10.3% to Tk.54, 646.10 crores in 1999-2000 as compared to the increase of 12.4% in the preceding year. Of the components of bank credit, advances increased by Tk.4, 892.70 crores or 10.3% and the bills purchased and discounted went up by Tk.230.60 crores or 11.3%. Bank deposits (excluding inter-bank items) increased by Tk.11,044.70 crores or 18.6% to Tk.70,278.70 crores in 2009-2010 compared to the increase of 14.2% in the preceding year. Of this increase , time deposits went up by Tk.9,103.80 crores or 19.9% to Tk.54,881.10 crores, government deposits by Tk.723.60 crores or 14.8% to Tk.5,615.20 crores and demand deposits by Tk. 1,142.50 crores or 13.3% to Tk.9,705.30 crores. On the other hand, restricted deposits increased by Tk.74.80 crores in 2009-2010. General Banking Activities of Selected Bank in Bangladesh. Dutch-Bangla Bank Limited (DBBL) is a Banking Company registered under the Companies Act, 1994 with its Head Office at Sena Kalyon Bhaban (3rd, 4th & 5th the Floor), 195, Motijheel C/A, Dhaka-1000. The Bank has started its commercial operation on 3rd June 1996. Dutch-Bangla Bank started operation is Bangladesh’s first joint venture bank. The bank was an effort by local shareholders spearheaded by M Sahabuddin Ahmed (founder chairman) and the Dutch company FMO. From the onset, the focus of the bank has been financing high-growth manufacturing industries in Bangladesh. The rationale being that the manufacturing sector exports Bangladeshi products worldwide. Thereby financing and concentrating on this sector allows Bangladesh to achieve the desired growth. DBBL’s other focus is Corporate Social Responsibility (CSR). Even though CSR is now a cliché, DBBL is the pioneer in this sector and termed the contribution simply as ‘social responsibility’. Due to its investment in this sector, DBBL has become one of the largest donors and the largest bank donor in Bangladesh. The bank has won numerous international awards because of its unique approach as a socially conscious bank. DBBL was the first bank in Bangladesh to be fully automated. The Electronic-Banking Division was established in 2002 to undertake rapid automation and bring modern banking services into this field. Full automation was completed in 2003 and hereby introduced plastic money to the Bangladeshi masses. DBBL also operates the nation’s largest ATM fleet and in the process drastically cut consumer costs and fees by 80%. Moreover, DBBL choosing the low profitability route for this sector has surprised many critics. To contribute forwards economies development and prosperity within the principles of banking. Optimum allocation of scarce financial resources. Investment is made through different modes. Investment-income of the Bank is made with the depositors according to a interest rate to ensure a reasonably fair rate of return on their deposits. It extends financial services to the low-income group of the people for their economics up lift. It plays a vital role in human resource development and particularly for the unemployed youths. Dutch-Bangla Bank believes in its uncompromising commitment to fulfill its customer needs and satisfaction and to become their first choice in banking. Taking cue from its pool esteemed clientele, Dutch-Bangla Bank intends to pave the way for a new era in banking that upholds and epitomizes its vaunted marques “Your Trusted Partner”. In banking language money transmitted domestically are known as local remittance. For local remittance purpose DBBL purchases and sells some instruments for its customers. The instruments are Pay Order (PO), Demand Draft (DD), Telegraphic Transfer (TT), and Mail Transfer (MT). Pay order is an instrument, which is used to remit money within a city through banking channel. The instruments are generally safe as most of them are crossed. Bills Payable & commission (P.O) A/C ……..Cr. Bills Payable (P.O) A/C ……………..……………Cr. Bills Payable (P.O) A/C ……………………………Cr. We can find DBBL ATMs beside our home, in our office premise, nearby market, university, college & school premises, Airport, Railway stations etc., throughout the country. National Credit and Commerce Bank Limited bears a unique history of its own. The organization started its journey in the financial sector of the country as an investment company back in 1985. The aim of the company was to mobilize resources from within and invest them in such way so as to develop country’s Industrial and Trade Sector and playing a catalyst role in the formation of capital market as well. Its membership with the bourse helped the company to a great extent in this regard. The company operated up to 1992 with 16 branches and thereafter with the permission of the Central Bank converted in to a fully fledged scheduled private commercial bank in May, 1993 with paid up capital Tk.39.00 core to serve the nation from a broader platform. During last 12 years of its operation NCCBL has acquired commendable reputation by providing sincere personalized service to its customers in a technology based environment. The Bank has set up a new standard in financing in the Industrial, Trade and Foreign exchange business. Its various deposit and credit products have also attracted the clients both corporate and individuals who feel comfort in doing business with the Bank. NCC Bank based upon its commendable business performance for the year ended 2004, has meanwhile declare stock dividend at the rate of 30%. The Bank which started with 16 branches in 1993 has at present 36 (thirty six) branches and 03 (three) booths located in prime commercial areas of Dhaka, Chittagong, Sylhet, Feni, Khulna, Jessore and Rangpur district head quarters out of which as many as 17 (seventeen) are authorize d dealer branch3es,fully equipped for dealing in direct foreign exchange businesses. NCC bank is now positioned to best suit the financial needs of its customers and make them partners of progress. The initial authorized capital of the Bank was Tk.75.00 crore and paid up capital Tk.19.50 core at the time of conversion which is now raised to Tk.39.00 core. The present authorized capital is Tk.250.00 crore and paid up capital is Tk.60.78 core. NCCBL was licensed as a scheduled bank. It is engaged in pure commercial banking and providing services to all types of customers ranging from small and medium enterprises to large business organizations. It is working for the economic welfare by transferring funds from the surplus economic unit to those who are in deficit. The purpose of the bank is to become ‘the bank of choice’ in the communities they serve. The bank accomplishes this by offering to their customers the financial services which is expected by their customers while providing a return to their owners. In accomplishing this mission, the bank has now been free from all the natures of a problem bank through fulfilling all the conditions set by the central bank. They proudly say: “NCCBL is profit making and problem free. Anticipating business solutions required by all NCCBL’s customers everywhere and innovatively supplying them beyond expectation. Setting industry benchmarks of world class standard in delivering customer value through our comprehensive product range, customer service and all our activities. Building and exciting team based working environment that will attract, develop and retain employees of exceptional ability who help celebrate the success of bank’s business of bank’s customers and of national development. Maintaining the highest ethical standards and a community responsibility worthy of a leading corporate citizen. Continuously improving productivity and profitability and thereby enhancing shareholder value. Like clothes, shops, candy shops, bakeshops, food shops, NCCBL is note “debt shop” the term being used by many to call the present say banks. It is now been called a modern bank that undertakes all its operations at an international standard. Having started its operations as a commercial bank in 1993 recovering from some primary difficulties. NCCBL has now emerged as a major player in the financial sector. The bank has been able to attain a commendable CAMEL rating and it performance has been outstanding in terms of profitability for the year ended 2000. Listed in both the Dhaka and Chittagong bourses since late 1999 with an IPO that raised the paid-up capital of the bank to Tk.39 core, the current price levels of its shares and turnover in trading is evidence of its high rating among investors. Banks are the pillars of the financial system. Specially, in Bangladesh, the health of the banking system is very vital because the capital market is little developed here. As the banks are still the major sources of credit and exercise great influence on the financial system, it is extremely important that the country’s banking system should be in good health in the interest of investment activities. 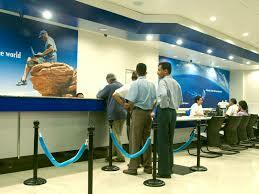 The basic function that the General Banking section performs is the deposit service. Thorough the opening of various kinds of Deposit accounts this section receive deposit form the customers. Deposit is one of the primary source through which the bank generate fund. There are various forms of deposits that NCC bank receives from the customers, which are discussed afterward. Money transmission products are common in all banks of our country. The banks facilitate remittance transfer from Bangladesh and outside Bangladesh. Through the local remittance service the bank facilitates remittance payments from one location to another within the clearing zone of Bangladesh Bank. On the other hand in case of foreign remittance the bank facilitate the remittance transfer from outside Bangladesh. Through the cash counter, the bank provides these services to customers. Through the cash counter, the customers can deposit or withdraw money from their various kinds of saving and current deposit accounts. The loan amount are also collected and paid through the cash counter. Transactions for foreign or local trade are also performing through the cash counter. The clearing service divided into 2 categories, which are discussed here. A) Inward Clearing: The instruments of the Bank include checks; pay orders, demand drafts etc. The Bank collects its own instruments from other banks through Clearing House as the clients with no charges or commissions required to perform this service submit them in different locations. B) Outward Clearing: The Bank provides the instruments to other banks through Clearing House, which have been collected from different clients. It performs this kind of service for its clients without requiring any charges or commissions. The NCC Bank has started; ‘On Line’ Banking last year at Dhaka and on the basis of its performance will go for complete ‘On Line’ operation. Now there are three branches in Dhaka city offer online banking facility. The customers can deposit and disburse cash from other branches by paying charges. The bank is a member of ATM Network along with other 7 Banks which enabled the Bank to extend modern banking facility to the customers allowing 24 hrs accesses to any ATM dispenser situated at Dhaka, Sylhet & Chittagong city. The network will be expanded phase by phase in other parts of the country. The branch has Q Cash ATM booth through customers can withdraw money. Bills collection is another service of the NCC bank. The NCC bank collects different types of utility bills. The bank collects WASA, T&T, and DESCO bills from the public through the bill counter. Any businessperson, firm, limited companies, local bodies, corporate bodies etc. can open a Current account with NCC Bank Ltd. Current deposit is 100% demand deposit and account holder can deposit/withdraw his/their deposits frequently without any limit. CD A/c is Non- Interest bearing deposit account. Any Businessman firm, limited companies, local bodies, corporate bodies etc. can open a Short Term Deposit account with NCC Bank Ltd. Short Term Deposit is 100% Time deposit and account holder can withdraw his/their deposits with prior notice to the Bank. For which STD A/C also called special Notice Deposit A/C STD A/C is Interest Bearing deposit account. Any individual person, businessman, firm, limited companies, local bodies, corporation, corporate bodies etc. can open Fixed Deposit A/C with NCC Bank Ltd. Fixed deposit is 100% time deposit and account holder usually can withdraw his/their deposits after maturity of the Fixed deposit However, depositor of Fixed deposit can withdraw his/their deposit before maturity. FD A/c is Interest bearing deposit account and interest rate varies based on tenure of deposit. Any individual person can open a Special Savings Scheme deposit A/C with NCC Bank Ltd. for tenure of 5/10 years with monthly deposit of Tk.500.00 and multiple of Tk.500 up to Tk.10, 000. SSS A/c deposit is 100% term deposit and account holder can withdraw his/their deposits after expiry of maturity of SSS A/C SSS A/c is Interest bearing deposit account and interest rate varies based on tenure of deposit. Any individual person, businessman, firm, limited companies, local bodies, corporation, corporate bodies and so on can open a Special Deposit Scheme A/C with NCC Bank Ltd. Special Deposit Scheme A/C is a term deposit of 5 (Five) years and interest is payable on monthly basis. Special deposit is 100% term deposit and account holder can withdraw his/their deposits (Principal amount) after of maturity of deposit. SDS A/c is Interest bearing deposit account and interest rate varies based on tenure of deposit. At present bank is paying Tk.1, 000 per month as interest against deposit of Taka 1 lac. Any individuals corporate bodies, trustees of provident/benevolent fund etc. can open Premium Term Deposit A/c with NCC Bank Ltd. for Taka 10 00 lac and above but multiple of Taka 1 Iac. Premium Term Deposit A/c is a term deposit of 2 (two) years against which interest is payable above 1 % of the existing rate interest applicable on Fixed deposit for 12 months. Premium Term Deposit is 100% term deposit and account holder can withdraw his/their deposits (Principal with interest) after expiry of maturity of deposit. Any individuals, retired personnel, housewives, widow and wage earners can open Instant Earning Term Deposit A/c with NCC Bank Ltd. for Tk 1 lac and above but multiple of Tk 1 lac. Instant Earning Term Deposit A/c is a term deposit of 1 (one) year against which interest is payable below 1% of the existing rate interest applicable on Fixed deposit for 12 months and Interest for one year is payable instantly at the time of opening of the account. Instant Earning Term Deposit is 100% term deposit and account holder can withdraw his/their deposits (Principal amount) after expiry of one year. Any Bangladeshi expatriate can open WEWDPS A/C with NCC Bank Ltd. for a tenure of 5 or 10 years with monthly deposit of Tk 3,800 or Tk 6,350 or Tk 12,700 which is to be deposited through foreign currency remittance from abroad only. WEWDPS A/C is a term deposit of 5/10 years and 100% term deposit in type. WEWDPS A/C holder can withdraw his or their deposits (Principal with Interest) after expiry of maturity of deposits as per prescribe scale. It is a new product of Deposit. It is a deposit product for specific period of 6 years. On completion of term of six years, the deposited amount will make the principal amount double and depositor will get double of deposited amount. Any person can open Money Double Program Deposit (MDPD) A/C with NCC Bank Ltd for TK 1 Lac and it’s multiple. Premature encashment of MDPD will be discouraged. However if the depositor insisted to encash the same before maturity then the following procedure will be applicable for premature encashment. No Interest will be paid other than Principal amount, but Charges to be realized from the principal amount of deposit. Interest will be paid at existing rate applicable to Savings Bank Deposit a/c and Charges to be realized from the proceeds. In case of Post mature encashment i.e. encashment after maturity, No Extra Benefit will be applicable and No Auto Renewal is applicable against the Money Double Program Deposit. Separate Printed Receipt (Money Double Deposit Receipt) for this type of deposit has been designed and supplied to the branches. The depositor can avail Loan under Secured Overdraft (SOD-FO) against pledge of Money Double Deposit Receipt (MDDR) up to the extent of 80% of the face value of MDDR at an Interest Rate of 16% P.A. following other rules and regulations applicable for SOD (FO). Habib Qatar International Exchange Ltd.
Al Fardan Exchange Company Limited. Telemoney- Arab National, Bank Riyadh- KSA. UAE Exchange Centre LLC, UAE. The bank has become a member of SWIFT (Society for Worldwide Inter-Bank Financial Telecommunication) in 1999, which provides a fast, secured and accurate communication network for financial transaction such as letter of credit, fund transfer etc. The membership of SWIFT has opened up possibilities of uninterrupted connectivity with thousands of user institutions in 150 countries around the world. The clients can invest in different fixed deposit rates for different maturities. The bank encourages its clients to invest in fixed deposit rate as it is one of the effective means of acquiring large amount of deposit from people. National Bank Limited Limited has its prosperous past, glorious present, prospective future and under processing projects and activities. Established as the first private sector bank fully owned by Bangladeshi entrepreneurs, NBL has been flourishing as the largest private sector Bank with the passage of time after facing many stress and strain. The members of the board of directors are creative businessmen and leading industrialists of the country. To keep pace with time and in harmony with national and international economic activities and for rendering all modern services, NBL, as a financial institution, automated all its branches with computer networks in accordance with the competitive commercial demand of time. Moreover, considering its forth-coming future, the infrastructure of the Bank has been rearranging. The expectation of all class businessmen, entrepreneurs and general public is much more to NBL. Keeping the target in mind, NBL has taken preparations to open 15 new branches and 5 SME centers by the year 2009. In addition, we are further expanding our presence through developing and expanding the SME financing, Any Branch Banking and Off-shore Banking facilities. The emergence of National Bank Limited in the private sector was an important event in the Banking arena of Bangladesh. When the nation was in the grip of severe recession, the government took the farsighted decision to allow the private sector to revive the economy of the country. Several dynamic entrepreneurs came forward for establishing a bank with a motto to revitalize the economy of the country. National Bank Limited was born as the first hundred percent Bangladeshi owned Bank in the private sector. From the very inception, it was the firm determination of National Bank Limited to play a vital role in the national economy. We are determined to bring back the long forgotten taste of banking services and flavors. We want to serve each one promptly and with a dedication and dignity. The then President of the People’s Republic of Bangladesh Justice Ahsanuddin Chowdhury inaugurated the bank formally on March 28, 1983 but the first branch at 48, Dilkusha Commercial Area, Dhaka started commercial operation on March 23, 1983. The 2nd Branch was opened on 11th May1983 at Khatungonj, Chittagong. At present, NBL has been carrying on business through its 106 branches spread all over the country. Since the very beginning, the bank has exerted much emphasis on overseas operations and handled a sizable quantum of home bound foreign remittance. It has drawing arrangements with 415 correspondents in 75 countries of the world, as well as with 37 overseas Exchange Companies located in 13 countries. NBL was the first domestic bank to establish agency arrangements with the world famous Western Union in order to facilitate quick and safe remittance of the valuable foreign exchanges earned by the expatriate Bangladeshi nationals. This has meant that the expatriates can remit their hard-earned money to the country with much ease, confidence, safety and speed. NBL was also the first among domestic banks to introduce international Master Card in Bangladesh. In the meantime, NBL has also introduced the Visa Card and Power Card. The Bank has in its use the latest information technology services of SWIFT and REUTERS. NBL has been continuing its small credit programmes for disbursement of collateral free agricultural loans among the poor farmers of Barindra area in Rajshahi district for improving their livelihood. The Bank earned a profit before tax of Tk. 2,828.80 million for 2008, a growth of Tk. 793.70 million or 39 percent, over the normalized profit before tax for 2007.The Bank’s profit after tax and provision for 2008, at Tk. 1,517.40 million reflected an even stronger growth of 22.51 percent or Tk. 1,238.10 million, over the normalized profit after tax for 2007. In 2008, the bank’s revenue was Tk. 8,893.10 million, which was up by Tk. 1,710.50 million or 23.81 percent. The bank’s total loans and advances portfolio was Tk.49,665.10 million at the end of December 2008, compared to Tk.36,475.70 million at the end of December 2007. The deposit base of the bank registered a growth of 25.51 percent in the reporting year over the last year and stood at Tk. 60,195.20 million in December 2008. This was achieved with better management of interest margins in volatile market conditions and adequate Balance Sheet growth during the period. Being a regular tax payer, we have made a direct contribution to Government Exchequer of Tk. 761.70 million in the calendar year 2008 against Tk. 449.70 million in the previous year, registering a staggering growth of 69.38 percent. Since its inception, the bank was aware of complying with Corporate Social Responsibility. In this direction, we have remained associated with the development of education, healthcare and have sponsored sporting and cultural activities. During times of natural disasters like floods, cyclones, landslides, we have extended our hand to mitigate the sufferings of victims. It established the National Bank Foundation in 1989 to remain involved with social welfare activities. The foundation runs the NBL Public School & College at Moghbazar where present enrolment is 1140. Besides awarding scholarship to the meritorious children of the employees, the bank has also extended financial support for their education. It also provided financial assistance to the Asiatic Society of Bangladesh at the time of their publication of Banglapedia and observance of 400 years of DhakaCity. The Transparency and accountability of a financial institution are reflected in its Annual Report containing its Balance Sheet and Profit & Loss Account. In recognition of this, NBL was awarded Crest in 1999 and 2000, and Certificate of Appreciation in 2001 by the Institute of Chartered Accountants of Bangladesh. The bank has a strong team of highly qualified and experienced professionals, together with an efficient Board of Directors who play a vital role in formulating and implementing policies. Ensuring highest standard of clientele services through best application of latest information technology, making due contribution to the national economy and establishing ourselves firmly at home and abroad as a front ranking bank of the country have been our cherished vision. Effort of expansion of our activities at home and abroad by adding new dimensions to our business strategy is being continued unabated. Alongside, we are also putting highest priority to cost control, transparency, accountability, good governance, improved clientele service as well as to our commitment to serve the society, through which we want to get closer to the people of all strata. Winning an everlasting seat in the heart of the people as a caring companion in uplifting their living standard through continuous up gradation and diversification of our clientele services is the desire goal we want to achieve. NBL is always ready to maintain in the highest quality of services by upgrading banking technology prudence management banking and by applying high standard of business ethics through its established commitment and heritage. To build up a deep-rooted and harmonies banker-customer relationship by dispensing prompted improved services to the clients. To make best use of the hard-earned investment of our valued shareholders. Simultaneously, play our due part in developing a vibrant capital market by ensuring more effective participation of the Bank in the share market. To make best use of latest technologies for giving the clients a taste of modern banking so as to encourage them to continue and feel proud of banking with NBL. To respond to the need of the time by participating in syndicated large loans financing, thereby expanding the area of investment of the Bank. To gain confidence of all quarters involved in the economic development of the country through pursuance of a policy of continuous adjustment and coordination of the Bank’s external trade programmers with the dynamism inherent in the international trade and payments system. National Bank’s core values consist of six (6) elements. These values bind people together with an emphasis that people are essential to everything being done in the bank. They believe that, they create new value by forming teams of specialist in various fields and providing optimal services to their customer. Achieve business vision through quality and customer acceptance by providing financial services. Maintain highest ethical standards in every aspect. The entire organization or each department and bank. All processes, systems and services. Compliance – with regulatory requirements. Stock Dividend of 55 percent was declared for the year 2008 which increased the paid-up capital of the bank from Tk. 1,208.21 million to Tk. 1,872.72 million in 2009 while its authorized capital was Tk. 2,450 million. The statutory reserve enhanced by Tk.565.60 million in 2009 after maintaining 20 percent pre-tax profit. The total equity of shareholders of the bank stood at Tk.6,126.30 million at the end of the year 2008. The volume of import trade financed by NBL during 2009 amounted to Tk 78,226.32 million as compared to Tk 62,759.00 millions. The main source of financed were old ship, rice, wheat, sugar, capital Machineries, Petroleum, Ready made garments and other consumer goods. NBL financed export business worth Tk 36,284.44 million during 2009 as compared to Tk 31,824.00 million. The sector of Export finance were ready made garments, knitwear’s, frozen food and fish products, tanned leather, handicrafts, Tea, Raw Jute and Jute goods. The ethos of NBL for pursuing its activities in social arena has got further momentum with people’s enthusiasm and support. NBL is consistently pursuing its objective of being active in those social areas where it is needed most. The NBL carries out diverse social and philanthropic activities in the field of education, health, conservation of nature, creation of social awareness, rehabilitation of distressed people and such other programs to redress human sufferings. It also promotes different socio-cultural and sports activities. The Board of Directors in order to discharge its corporate social responsibilities in a greater perspective continued its contribution amounting to 5.00% of Bank’s profit after charging loan loss provision to NBL. The CSR activities of the bank can broadly be categorized under two heads: Continuous and Need basis. The continuous programs are mostly of permanent nature, which the foundation contemplates to carry out years together. The emergence of Southeast Bank Limited was at the juncture of liberalization of global economic activities. The experience of the prosperous economies of the Asian countries and in particular of South Asia has been the driving force and the strategic operational policy option of the Bank. The company philosophy – “A Bank with Vision” has been precisely an essence of the legend of success in the Asian countries. Southeast Bank Limited is a scheduled commercial bank in the private sector, which is focused on the established and emerging markets of Bangladesh. In Dhaka, the first branch was launched in 1995 and the bank has been growing ever since. Southeast Bank Limited has 22 branches throughout Bangladesh and its aim is to be the leading bank in the country’s principal markets. The bank by concentrating on the activities in its area of specialization has achieved good market reputation with efficient customer service. The Bank is committed to providing continuous training to its staff to keep them up to date with modern practices in their respective fields of work. The Bank also tries to fulfill its share in community responsibilities. By such measures the Bank intends to grow and increase shareholders’ earning per share. Southeast Bank Limited pledges to maximize customer satisfaction through services and build a trusting relationship with customers, which has stood the test of time for the last nine years. To contribute significantly to the national economy. High quality financial services with the help of latest technology. Fast & accurate customer service. Steady return on shareholders’ equity. Innovative banking at a competitive price. Deep commitment to the society and the growth of national economy. Attract and retain quality human resource. Cooperating with organizations such as Gramen Bank which are helping the poor through micro credit and other facilities. It finances the small scale industries to help them survive. To achieve the mission, a set of efficient drivers is mandatory. Commercial banks in Bangladesh are now in a hard competition. This is because of continuous growth of similar service oriented local bank along with special service providing foreign bank due to globalization. In this respect, Southeast bank enjoys a team of sound professionals. It is managed by a team of professionals having long experience in the banking industry. While the board sets the management objectives and policies, the management is instrumental in providing the inputs and implementing the strategies set by the board. The bank maintains a continuous policy of developing its human resources. It believes that, the professionals are the key forces behind the achievement of success in banking business at the face of prevailing rigorous competitive market situation. South east bank uses PC Bank/M a branch banking software developed by leads Corporation- developed on SQ: on windows platform. The head office and branches use the software for book keeping, automatic interest calculation, daily transaction listing and audit trials, auto maturity and auto renewal of FDRS, automatic integration of customer’s ledger and general ledger, printing of general ledger position including balance of subsidiaries, monthly income and expenditure position etc. Foreign Exchange Department is international department of Bank. It deals globally. It facilitates international trade through its various modes of services. It bridges between importers and exporters. If the branch is authorized dealer in foreign exchange market, it can remit foreign exchange from local country to foreign country. This department mainly deals in foreign currency. This is why this department is called foreign exchange department. Some national and international laws regulate functions of this department. Among these, Foreign Exchange Act, 1947 is for dealing in foreign exchange business, and Import and Export Control Act, 1950 is for Documentary Credits (UCPDC – 1993 revision & International Chamber of Commerce Publication no – 500) is also an important law for settlement of terms and conditions between exporter and importer in international trade. Governments’ Import &Export policy is another important factor for import and export operation for banks. The bank’s overall objective is to have a higher\profitability than that of the weighted average of other banks. In the backdrop of economic liberalization and financial sector reforms, a group of highly successful local entrepreneurs conceived an idea of floating a commercial bank with different outlook. For them, it was competence, excellence and consistent delivery of reliable service with superior value products. Accordingly, Prime Bank was created and commencement of business started on 17th April 1995. The sponsors are reputed personalities in the field of trade and commerce and their stake ranges from shipping to textile and finance to energy etc. As a fully licensed commercial bank, Prime Bank is being managed by a highly professional and dedicated team with long experience in banking. They constantly focus on understanding and anticipating customer needs. As the banking scenario undergoes changes so is the bank and it repositions itself in the changed market condition. Prime Bank has already made significant progress within a very short period of its existence. The bank has been graded as a top class bank in the country through internationally accepted CAMELS rating. The bank has already occupied an enviable position among its competitors after achieving success in all areas of business operation. Prime Bank offers all kinds of Commercial Corporate and Personal Banking services covering all segments of society within the framework of Banking Company Act and rules and regulations laid down by our central bank. Diversification of products and services include Corporate Banking, Retail Banking and Consumer Banking right from industry to agriculture, and real state to software. Prime Bank, since its beginning has attached more importance in technology integration. In order to retain competitive edge, investment in technology is always a top agenda and under constant focus. Keeping the network within a reasonable limit, our strategy is to serve the customers through capacity building across multi-delivery channels. Our past performance gives an indication of our strength. We are better placed and poised to take our customers through fast changing times and enable them compete more effectively in the market they operate. To be the best Private Commercial Bank in Bangladesh in terms of efficiency, capital adequacy, asset quality, sound management and profitability having strong liquidity. To build Prime Bank Limited into an efficient, market-driven, customer focused institution with good corporate governance structure. Continuous improvement of our business policies, procedure and efficiency through integration of technology at all levels. To provide the most courteous and efficient service in every aspect of its business. To be innovative in the development of new banking products and services. By promoting their well-being through attractive remuneration and fringe benefits. By promoting good staff morale through proper staff training and development, and provision of opportunities for career development. By forging ahead and consolidating its position as a stable and progressive financial institution. By generating profits and fair return on their investment. By assuming our role as a socially responsible corporate citizen in a tangible manner By adhering closely to national policies and objectives thereby contributing towards the progress of the nation. By upholding ethical values and best practices. Constantly seeking to improve performance by aligning our goals with stakeholders expectations because we value them. On delivery of quality services in all areas of banking activities with the aim to add increased value to shareholders investment and offer highest possible benefits to our customers. AB Bank Limited, the first private sector bank was incorporated in Bangladesh on 31st December 1981 as Arab Bangladesh Bank Limited and started its operation with effect from April 12, 1982. AB Bank is known as one of leading bank of the country since its commencement 29 years ago. It continues to remain updated with the latest products and services, considering consumer and client perspectives. AB Bank has thus been able to keep their consumer’s and client’s trust while upholding their reliability, across time. During the last 29 years, AB Bank Limited has opened 85 Branches in different Business Centers of the country, one foreign Branch in Mumbai, India and also established a wholly owned Subsidiary Finance Company in Hong Kong in the name of AB International Finance Limited. To facilitate cross border trade and payment related services, the Bank has correspondent relationship with over 220 international banks of repute across 58 countries of the World. In spite of adverse market conditions, AB Bank Limited which turned 28 this year, concluded the 2008 financial year with good results. The Bank’s consolidated profit after taxes amounted to Taka 230 cr which is 21% higher than that of 2007. The asset base of AB grew by 32% from 2007 to stand at over Tk 8,400 cr as at the end of 2008. The Bank showed strong growth in loans and deposits. Deposit of the Bank rose by Tk. 1518 cr ie., 28.45% while the diversified Loan Portfolio grew by over 30% during the year and recorded a Tk 1579 cr increase. Foreign Trade Business handled was Tk 9,898 cr indicating a growth of over 40% in 2008. The Bank maintained its sound credit rating in 2008 to that of the previous year. The Credit Rating Agency of Bangladesh Limited (CRAB) awarded the Bank an A1 rating in the long term and ST-2 rating in the short Term. AB Bank believes in modernization. The bank took a conscious decision to rejuvenate its past identity – an identity that the bank carried as Arab Bangladesh Bank Limited for twenty five long years. As a result of this decision, the bank chose to rename itself as AB Bank Limited and the Bangladesh Bank put its affirmative stamp on November 14, 2007. The Bank decided to change its traditional color and logo to bring about a fresh approach in the financial world; an approach, which like its new logo is based on bonding, and trust. The bank has developed its logo considering the contemporary time. The new logo represents our cultural “Sheetal pati” as it reflects the bonding with its clientele and fulfilling their every need. Thus the new spirit of AB is “Bonding”. The Logo of the bank is primarily “red”, as red represents velocity of speed and purity. Our new logo innovates, bonding of affiliates that generate changes considering its customer demand. AB Bank launched the new Logo on its 25th Anniversary year. AB Bank commits to nation to take a lead in the Banking sector through not only its strong financial position, but also through innovation of products and services. It also ensures creating higher value for its respected customers and shareholders. The bank has focused to bring services at the doorstep of its customers, and to bring millions into banking channels those who are outside the mainstream banking arena. Innovative products and services were introduced in the field of Small and Medium Enterprise (SME) credit, Women’s Entrepreneur, Consumer Loans, Debit and Credit Cards (Local & International), ATMs, Internet and SMS Banking, Remittance Services, Treasury Products and Services, Structured Finance for Corporate, strengthening and expanding its Islamic Banking activities, Investment Banking, specialized products and services for NRBs, Priority Banking, and Customer Care. The Bank has successfully completed its automation project in mid 2008. It envisages enabling customers to get banking services within the comfort of their homes and offices. AB Bank has continuously invests into its biggest asset, the human resource to drive forward with its mission “to be the best performing bank in the country.” The bank has introduced Dress Code for its employees. Male employees wear designed ties and females wear Sharee or Salwar Kamiz, all the dresses are consisted with the unique AB Bank logo. AB is recognized as the people’s choice, catering to the satisfaction of its cliental. Their satisfaction is AB’s success. We consider adherence to national policies and objectives a priority for giving our customers the best financial support with corporate integrity, meaning a fully compliant bank along with involvement in social development. We give the best priority on our customer demand and through our endless effort we assure the best satisfaction to our customers. Profit margin, return on asset & return on equity are good according to the ratio analysis of DBBL and NCC bank. But Profit margin, return on asset & return on equity of NBL & south-east bank are little bit lower. Every bank extends financial services to the low-income group of the people for their economics up lift. Investment-income of the Bank is made with the depositors according to an interest rate to ensure a reasonably fair rate of return on their deposits. Above all the Bank NCC Bank’s return on asset and return on equity is better than other.NCC Bank’s ROA was 3.12 in 2009,and their ROE was 40.96.On the other hand DBBL have succeed acquiring highest profit margin and return on deposit. DBBL’s profit margin for the year 2009 was 0.499 and return on deposit was 0.225. Every Bank is enlisted in Dhaka Stock Exchange. NCC bank’s Earnings per Share is little bit higher than others. The other two bank NBL and SIBL are little bit backward than those two. Especially SIBL is far away from the performance level of other banks. Regular training facilities for the managers have to be maintained in order to possess a competent management team.. Overall environment into the Bank should have to be in the highest standard to provide better experiences both for client and employee. To reduce the share of non-working loan, the management should work on conservative strategies rather than aggressive strategies. To summarize the whole situation, I would like to say that, DBBL, NCC, NBL, SEBL, PBL, AB Banks are giving a wonderful service to the people in general of our country and at the same time they are also trying to educate our people about the world class banking procedures which is, according to my concept, a very worthy step and we should cooperate with them in this matter for our own benefit. DBBL, NCC, NBL, SEBL, PBL, AB Banks manage the overall banking activities program and they will definitely progress with the modernization of business environment.